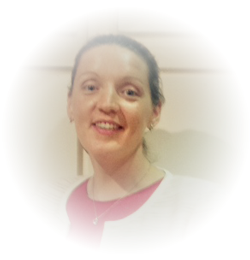 Gemma is a graduate of University Collage Dublin where she undertook the graduate Diploma in Financial Planning, which enabled her to become a Certified Financial Planner-currently the highest industry standard. Gemma also holds Wealth Management, Retirement Planning and Financial Services Diplomas. Since joining the financial services industry in 1999 Gemma has gained extensive experience in Retirement and Wealth Planning along with providing Family Protection solutions for her clients both in the public and private sector. Gemma has developed her knowledge on the operation of the Public Sector Pension scheme and Death/ Illness scheme to enable her to continue to advise HSE staff, teachers and county council employees on the continuous changes that are happening within their own sector. During a consultative meeting with clients, she works to identify your goals, establish your priorities and assess the options available. This is to provide a foundation for a more secure financial future for her clients. Most of us will face concerns such as a need to provide for children’s education, the need to save up for retirement or to maintain our current lifestyles. Gemma works with her clients by providing clear and understandable advice and solutions specific to their current life situations to address these concerns.